1 After the wild success of their movie, Kita Kita, people are naturally curious about Alessandra de Rossi and Empoy Marquez's relationship off-cam. On Gandang Gabi Vice, Alessandra and Empoy were asked if they were okay with ending up with each other, to which Empoy hilariously responded: "Okay lang naman pero magpapaalam muna ako sa handler ko." When prodded, he continued, "Definitely kasi, iniingatan ko yung image ko ngayon." LOL! 4 By now, we all know that Angelina Jolie and Brad Pitt's divorce is the total opposite of Hollywood's trend of conscious uncouplings. Fronting the September issue of Vanity Fair, Angelina revealed how bad things got between them: "Things became 'difficult.' [Our lifestyle] was not in any way a negative. That was not the problem. That is and will remain one of the wonderful opportunities we are able to give our children...They're six very strong-minded, thoughtful, worldly individuals. I'm very proud of them." Angelina also spoke of her mother's messy divorce with father Jon Voight: "I was very worried about my mother, growing up—a lot. I do not want my children to be worried about me. I think it's very important to cry in the shower and not in front of them. They need to know that everything's going to be all right even when you're not sure it is." 5 On July 28, 2017, world-renowned designer Happy Andrada, in collaboration with NORDE International, Kornit Allegro, and Artist and Company's Shaira Luna, launched a collection that's aiming to change the way we see fashion. Shaira captured the movement of dancers and Happy's team used those images to create nature-inspired digital patterns. These patterns were digitally printed on different fabrics like chiffon, tulle, spandex, and more. 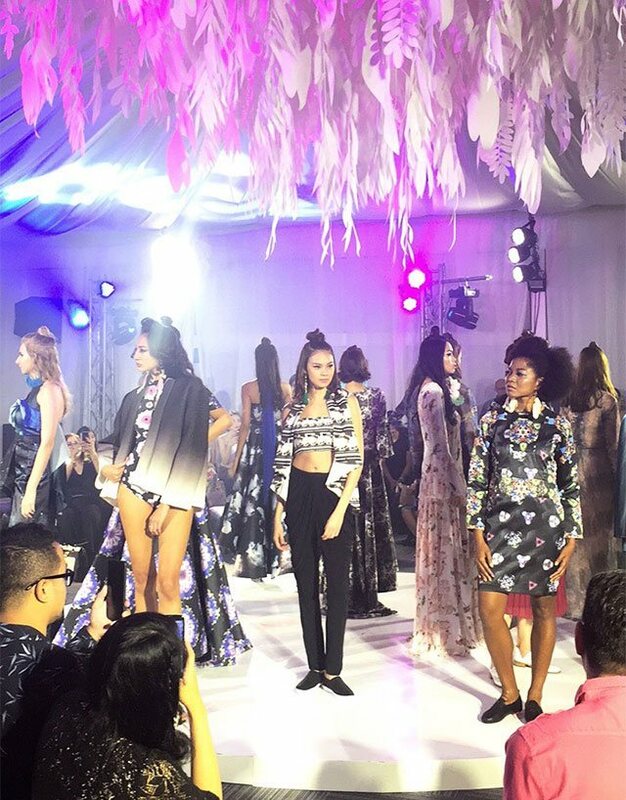 This is the first Filipino-designed RTW and couture collection designed entirely out of customized fabrics with NORDE and Kornit Allegro.